Once you have received compensation for injuries and expenses, you may not be able to claim compensation for injuries that may show up later. There are many injuries sustained during a car accident with symptoms that are not felt immediately. Endorphins released by the body because of shock can mask pain. Once the endorphins wear off, symptoms of injury may begin to appear. The pain will worsen over time and the effects of the injury may eventually become debilitating. A headache may result even if there has been no direct head trauma. It could be a result of some other internal injury. 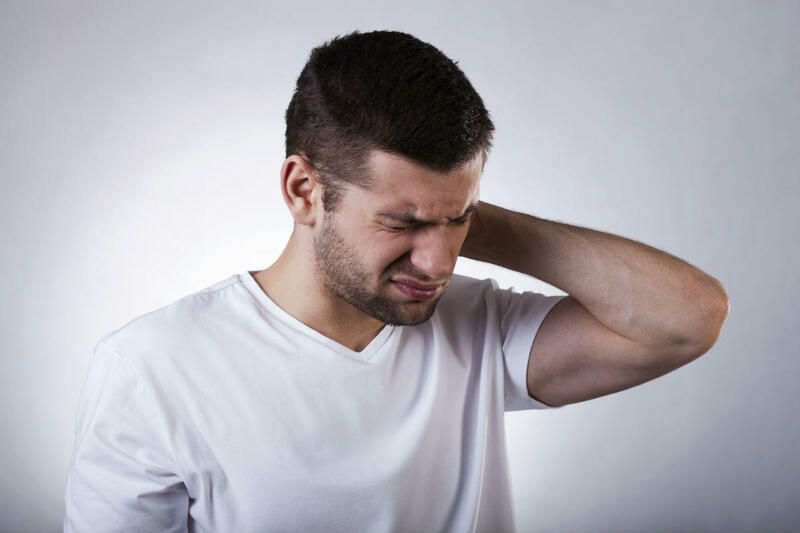 Whiplash is the soft tissue injury in the neck region and is generally associated with pain in the neck; however, it can affect the neural pathways affecting the extremities and the complete spinal cord. Other symptoms of whiplash include the reduced motion of the neck, headaches, feeling dizzy, stiffness in the shoulders and arms, numbness or weakness in the affected region, and slowed reflexes. These symptoms impact the day-to-day life of the injured person and the effects can vary from unpleasant to debilitating. These injuries can be treated with physical therapy and chiropractic manipulations. A concussion is a brain injury when the brain sustains trauma due to the impact to the brain inside the skull. This is caused when the head hits an object or when the head which is in motion with the vehicle suddenly stops due to sudden deceleration of the vehicle. This sudden acceleration or deceleration can cause whiplash in addition to a concussion. A concussion causes a temporary loss of brain function. The symptoms of concussion include headaches, disorientation, ringing in the ears, confusion, blurred vision, vomiting, irritability, loss of balance, amnesia, anxiety or depression, lethargy, insomnia, and loss of concentration. Studies have shown that five to seven percent of people who have suffered a concussion experience a post-traumatic seizure some time in their life. The most susceptible to post-traumatic seizures are children and elderly ones. Concussion which results in internal bleeding of the brain may cause post-traumatic epilepsy, which is a permanent condition. The effects of concussion generally last from a few hours to a few weeks. The treatment is that of the symptoms rather than the injury. Internal injuries may not be evident for several days after the crash, and in many cases, they can be life-threatening if they are not diagnosed and treated early on. So, it is important to seek immediate medical attention. Pain in the neck or shoulder might indicate whiplash injury. In some cases, neck and shoulder pain may be felt immediately after the crash, but some people may not experience symptoms until days later. You should see a doctor if you experience pain or stiffness around the neck, shoulder or head area. The doctor may order imaging tests such as X-rays to diagnose the injuries. Neck pain may also be a result of spinal injuries such as herniated discs. Lower back pain is another delayed symptom of whiplash or other injuries such as strain, sprain, and herniated disc. These injuries could indicate muscle, ligament or vertebral damage. The victim may experience sciatica and symptoms such as numbness or tingling if the damaged parts within the spinal cord press on any nerves in the area. A herniated disc can cause symptoms in the injured area as well as the limbs. A herniated disc may press on spinal nerves and cause symptoms such as weakness, numbness and tingling in the limbs. The doctor may order imaging tests to identify the injury and start appropriate treatment. Post-traumatic stress disorder (PTSD) happens when a victim of a car accident develops misplaced situational anxiety or changes in normal personality. This may arise after a few months of the traumatic event and is the most difficult injury to diagnose. If you are involved in a car accident, seek medical attention and look for injuries that may have delayed symptoms. This is essential because it may help you to safeguard your health and ensure that your legal rights are protected. Claiming compensation for injuries with delayed symptoms, especially PTSD, can be a difficult task. The insurance company may offer you an initial settlement. Before signing a settlement offer, contact a St. Louis car accident attorney for legal advice. Once you have received compensation for current injuries and expenses you will not be able to claim compensation for injuries that may show up later. A heart injury is a less common but frightening injury a person can suffer in a car accident. The main cause of heart injury arising from a car crash is impacting the chest against the steering wheel or dashboard of the vehicle. Heart injuries are difficult to diagnose because there are no immediate signs of external injury. It may take weeks and even months after the crash for symptoms to present themselves. Any new symptoms should be reported to a doctor, even if they occur weeks or months after the crash. Delayed symptoms could be signs of an underlying serious injury. Prompt treatment of heart injuries is important to prevent any serious life-threatening complications. The are two common heart injuries related to car accidents – myocardial contusion and traumatic aortic disruption. The bruising of the heart muscle is referred to as myocardial contusion. This bruising is often caused when a driver’s chest hits the steering wheel forcefully during a crash. The bruising can range from being minor to severe. Common symptoms of myocardial contusion include pain in the sternum or front of the ribs, shortness of breath, chest pressure or pain, nausea, vomiting, and a racing heartbeat. A serious and potentially life-threatening heart injury resulting from car accidents is a traumatic aortic rupture. It occurs when the largest artery in the body, the aorta, is ruptured or torn due to the impact of the crash. The aorta branches out from the heart and supplies blood to the rest of the body. Any disruption from the injury is significant and blood may pump out rapidly. The condition is often life-threatening, because of the profuse bleeding that can result from the tear or rupture. However, prompt treatment can help manage the condition and prevent any complications. A heart injury from a car accident often requires extensive and prolonged treatment. It is important to make sure that all past and future medical costs and other expenses resulting from the accident are covered by the claim. Get legal help from a St. Louis car accident lawyer to protect your rights. Call The Hoffmann Law Firm, L.L.C. at (314) 361-4242 for a free consultation.